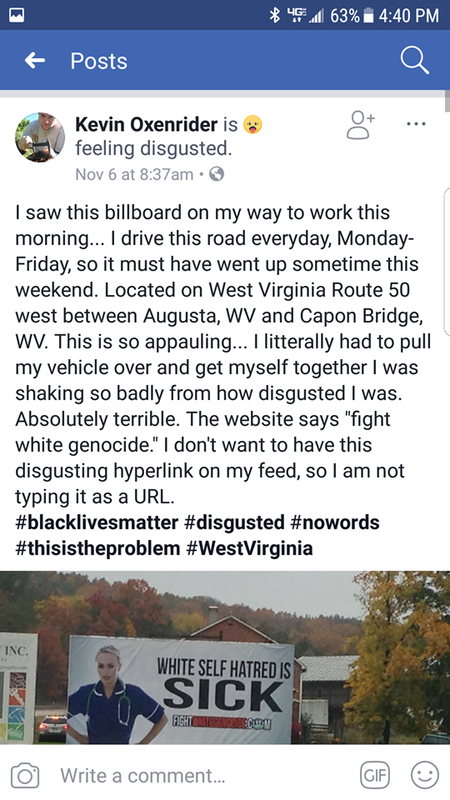 Our West Virginia billboard was taken down Wednesday, November 8. 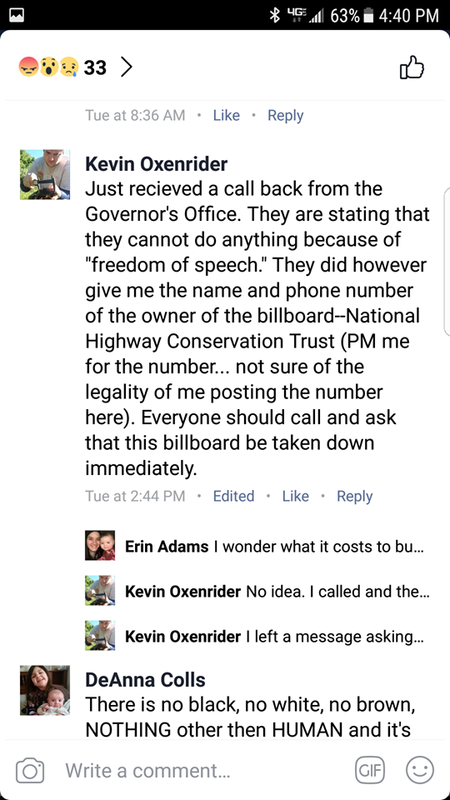 Harassment from anti-whites has succeeded in intimidating the billboard owner into removing our image. FWG has received a full refund of the billboard rental fee. 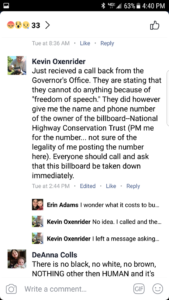 The billboard owner confirms that she was contacted by the Governor’s office and asked to remove the sign. Big League Politics has reported this story. In the short time it was up, our billboard generated the same hysterical overreaction from anti-whites that the “It’s OK to be White” posters generated. This reaction proves that it was never about fairness or equality. It was always about hating white people. No one would react this way over non-white racial advocacy. And now white people are starting to notice the blatant double standards applied against them. Yes, we want to be divisive, as do the anti-whites. The anti-whites want to divide everyone between those who follow the Religion of Political Correctness and heretics. We want to divide everyone between pro-whites and anti-whites. Pro-whites have no monopoly on divisiveness. And we’re not responsible for racial divisions. The people who deliberately tried to turn America non-white after 1965 are responsible for that. 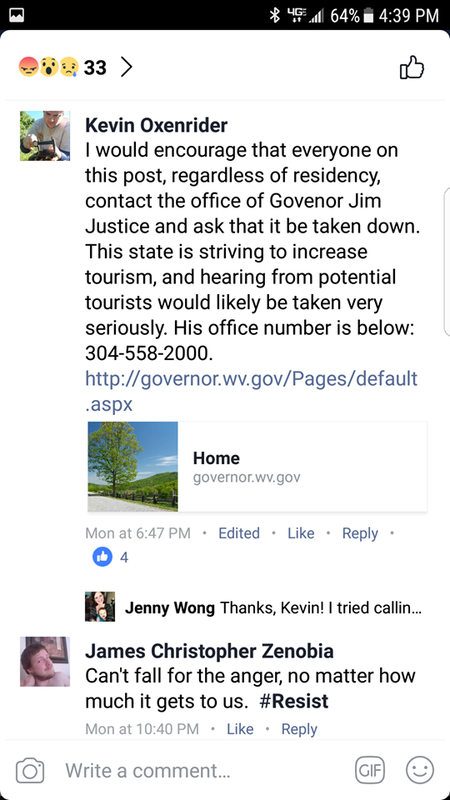 West Virginia is also the state that fired Carrie Bowe for making a video calling attention to white genocide. Is the right to express yourself not an American value? What could be more un-American than shrieking “You can’t say that! “-? 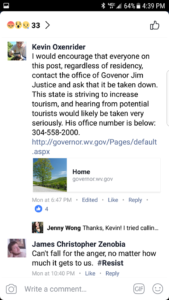 This incident shows the absurdity of trying to maintain speech rights in a proposition nation. The only objection they can raise to our billboard is that it constitutes heresy to political correctness and must be taken down. Any questioning of the propositions that anyone can be an American and that America is as border-less land mass for the whole world to colonize must be silenced. Anti-whites are sadly mistaken if they think they can keep us from spreading our message. We will be putting up more billboards and if the truth makes you shake TOO BAD. White self-hatred is still sick. And the reaction from brainwashed anti-whites only serves to prove that point and to underscore the importance of our work. We are the cure. Our Most Holy Church of Political Correctness is our country’s state religion, and that Church tolerates no blasphemy against its dogmas. That Church preaches to us 24/7 that white self-hatred is GOOD! I have noticed how many whites ( especially women) in my area, are mixing with blacks, Mexicans etc. It is an emotional illness called Low Self-esteem but it is promoted by those who want to destroy us and the civilizations of the earth. I was wondering what a good ” Catchall” phrase or slogan for a T shirt would be, that sums up ALL of this?